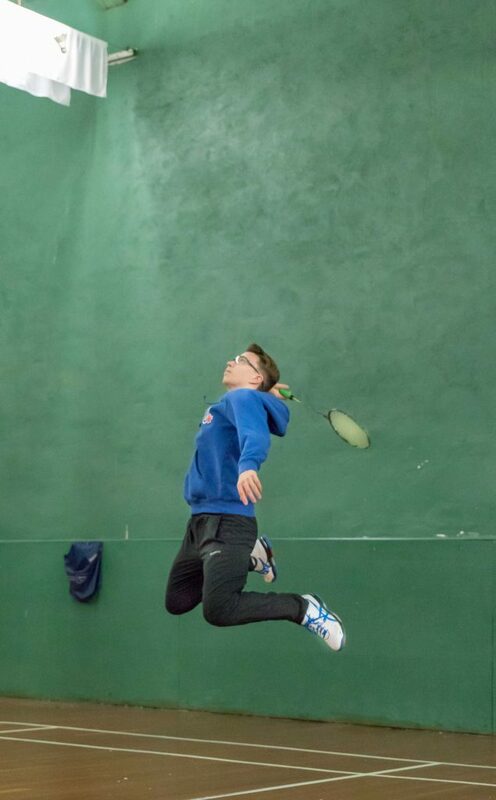 The Woodstock Badminton Club’s Derek Neeb put on a show at the Woodstock Youth Badminton Tournament this past Saturday. The tournament was initially billed as a regular championship / consolation tournament, however, Tournament Director Andrew Downing changed the format to a round robin to allow players more games. The attendance included players from the Stratford and Guelph clubs, providing for some stiff competition. Neeb, a native of Ingersoll, played in the U19 category and went undefeated in all his matches. His final match went three games with Neeb losing his second game 27-25 but coming back in the 3rd to defeat his opponent 21-11. Both players received a resounding round of applause as they excited the court after providing spectators with a thrilling 25 minute match that had both players exhausted. Neeb’s relentless attack and physical fitness proved the difference in the match. An honourable mention goes to Ben Cougler, 10 years old, who was also undefeated in his matches, going 5-0 against the competition. Cougler, like Neeb, used an attacking strategy to continually pound the shuttle at opponents putting them on the defensive. Neeb and Cougler are both athletes in the Woodstock Badminton Club’s High Performance Youth Program. The High Performance Program at the Woodstock Badminton Club (WBC) is off to a great start. But, what is High Performance, what does that mean and where does that term come from? This article will break down the mystery surrounding High Performance in regards to the sport of badminton. High Performance, in regards to sport, simply means to train or compete at the highest level that the sport offers. It is an opportunity for those athletes who want more out of their training than a recreational program can provide. 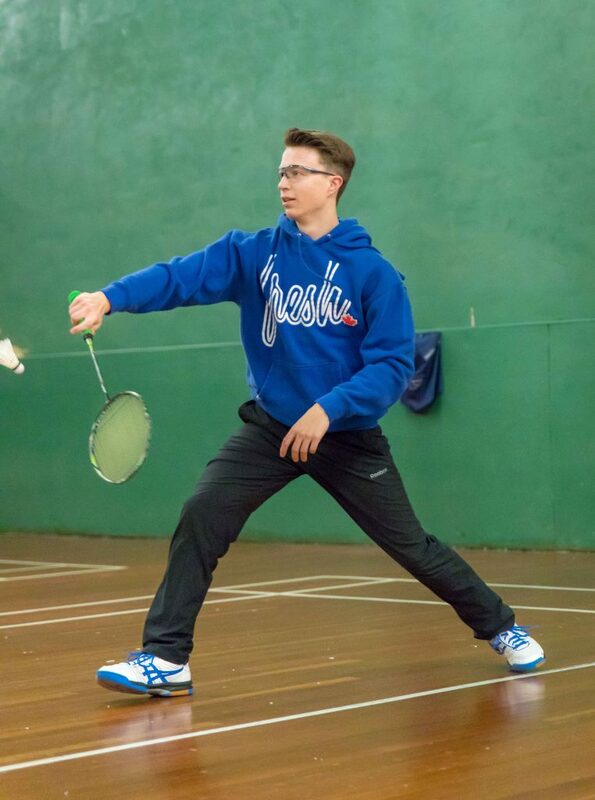 High Performance is a term that is common to most sports and at the highest levels of badminton in Canada, High Performance refers to those athletes who are part of our national team. If an athlete has a desire to compete provincially or nationally, the High Performance Program at their respective clubs would give them the best chance of doing so. At the WBC, the High Performance Program has produced many champions over the years under the watchful eye of Head Coach, Sajjad Malik. This includes two provincial titles in 2000 and 2001 and Mike Beres, 8 National Titles, Canadian Olympian and Gold Medalist at the Pan Am Games. Athletes can be any age in a High Performance Program although the most common ages are between 10 and 25. The High Performance Program has been reintroduced at the WBC this year with nine athletes qualifying. As we enter tournament season through Badminton Ontario, these athletes will be competing on a provincial level across Ontario. To qualify as a High Performance athlete at the WBC an athlete must achieve a proficient level of technical and physical progress at their age level, determined by the coaching staff. The Woodstock Badminton Club is pleased to announce a new time slot for youth to come and play badminton. It is every Tuesday from 5:00 p.m. to 7:00 p.m. for youth under the age of 18. This time slot is not part of the Youth Program, therefore coaching is not provided. Youth members are welcome to bring a friend. Non-members are only required to pay $5 as a drop-in court fee. Racquets and shuttles are provided. Note that non-marking and slipping court shoes are required for safe play. Parents are asked to stay if they have young children that require supervision. Enjoy Tuesday Youth nights 5-7 p.m. at the WBC!